Valley Office Plaza is a high-rise office building originally constructed in 1962. Berliner designed the renovation of all the public spaces including the ground floor lobby, elevator cabs, corridors and restrooms. 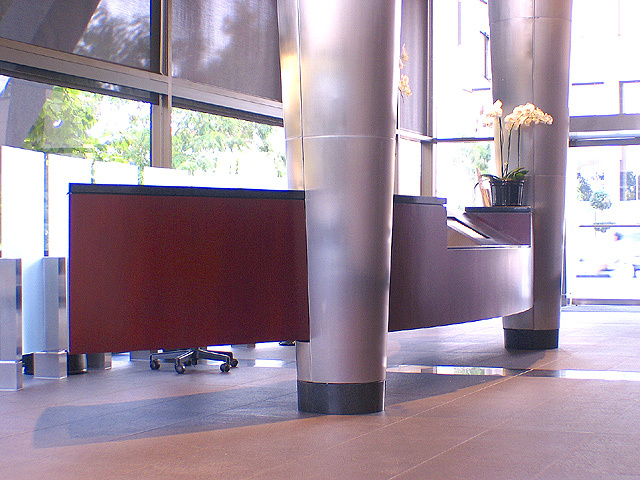 The building was seismically strengthened and brought into compliance with ADA requirements. The new lobby and building entry brought the original building architecture to life through the use of rich materials and dramatic lighting.